Shaheed's namaz-e-janaza was scheduled to be offered in Masjid-e-Aqsa Mehmoodabaad number 6 after Zohrain for today . The young Shaheed was an active worker of Majlis-e-Wahdat-e-Muslimeen Pakistan .Shaheed's namaz-e-janaza was led by Maulana Sadiq Raza Taqavi in which a large number of momineen alongside Sunni brethren participated . Abid Ali Son of Yasin Ali embraced shahadat here in Manzoor Colony in a shop [Nur Communications] near Awami Chowk ,when yazidi terrorists opened fire on him. Shaheed ' s body has been shifted to Fatimiyah Ghusal Khana where his namaz-e-janaza is expected to be scheduled sometime on thursday. 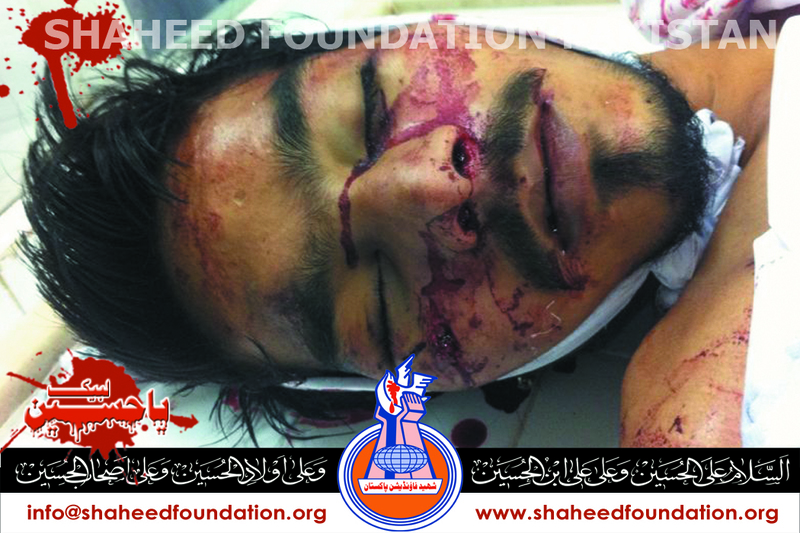 Please recite a fateha for Shaheed Abid and Shohada-e-Millat-e-Jaffaria Pakistan.